Requires the CD to play. Saves are numbered 0-8. .INF files contain save file names (not needed to load saves). GAME.DAT contains an autosave of the last level loaded. 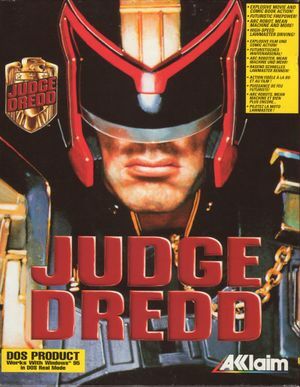 Error message: "Judge Dredd needs an extended memory manager to run. See the technical documentation for more details." 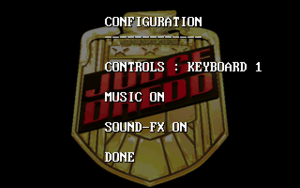 Run this command before the game: set DOS16M=:4M (as part of a batch file, DOSBox configuration file, or entered manually). Change cycles=auto to cycles=fixed 21500.